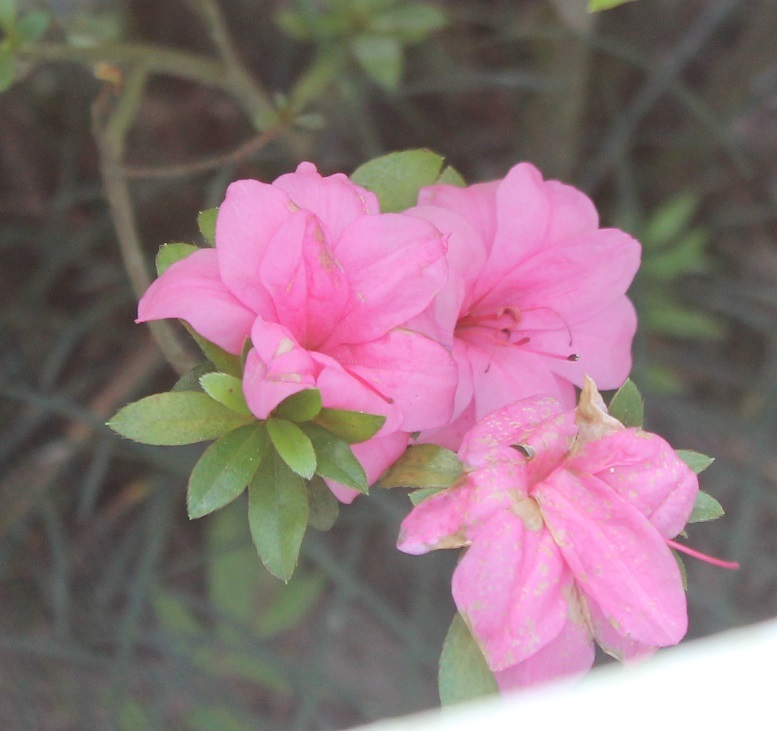 Totally weird, two months after all the other azaleas bloomed around town and our bushes in front are covered in blossoms. What the what? I didn't take pictures at the height of the blossoms, mostly because they aren't visible from outside -- because of a green bush that's in front of the azaleas -- and also because pictures through the window are a little iffy (see zoomed in shot at left for what I mean). They're pretty though.